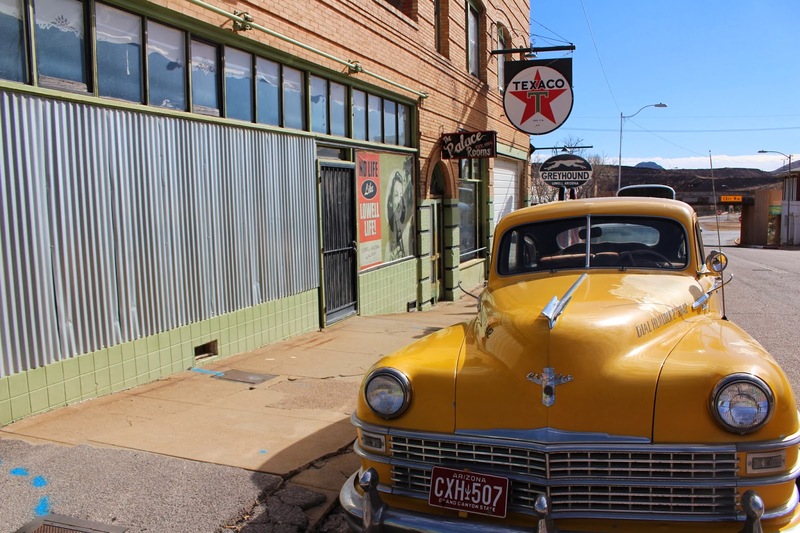 the morning after our bisbee exploration, we drove a little further down az-80, past old bisbee, to get breakfast at the bisbee breakfast club. 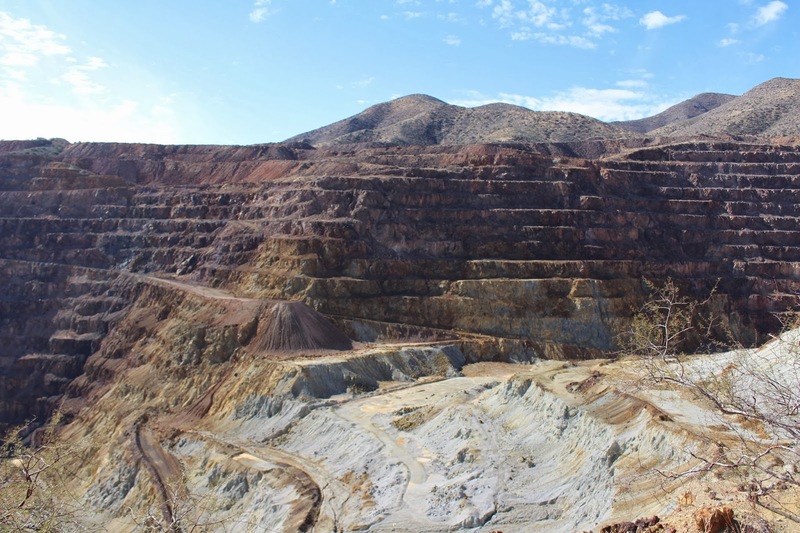 as we rounded the bend we were surprised to find a giant open pit mine. 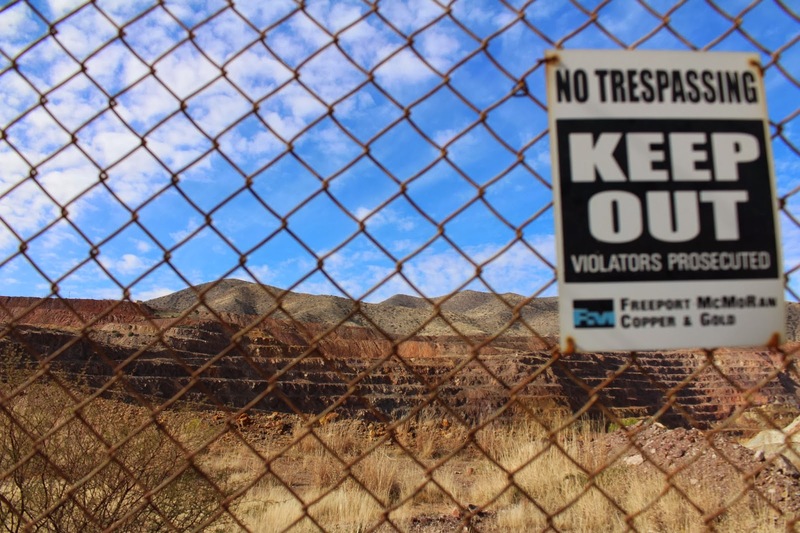 apparently we didn't listen that closely during the queen mine tours the day before. 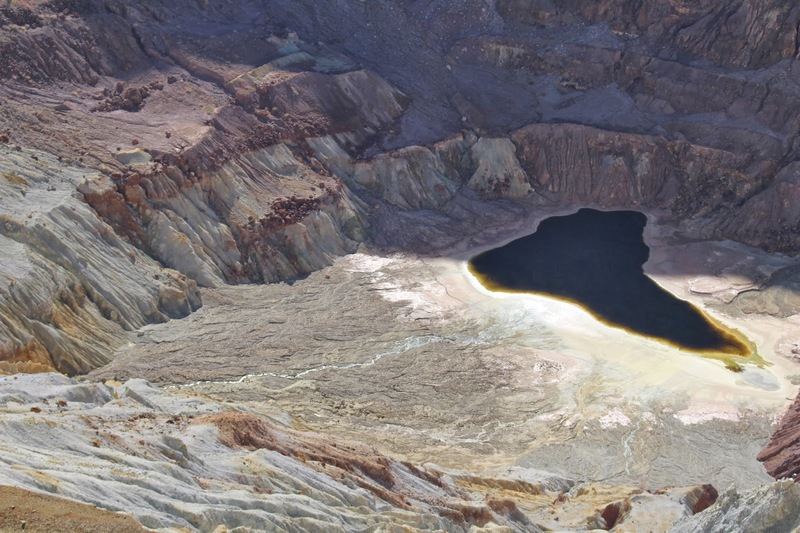 the lavender pit mine, opened in 1917, was named for harrison lavender, a former phelps dodge general manager who came up with the plan for making the unprofitable low grade copper bearing rock into a commercially viable copper producing ore. it's ironic then, that there are in fact lavender or purple minerals that can be found in the mine and the surrounding hills. 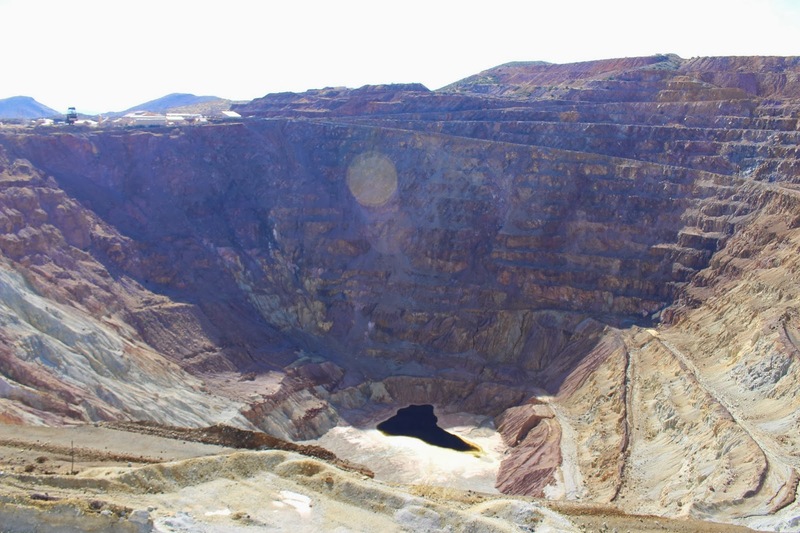 it is a huge mine, spanning 4000 ft wide (north to south), 5000 ft long, and measuring 850 ft deep. 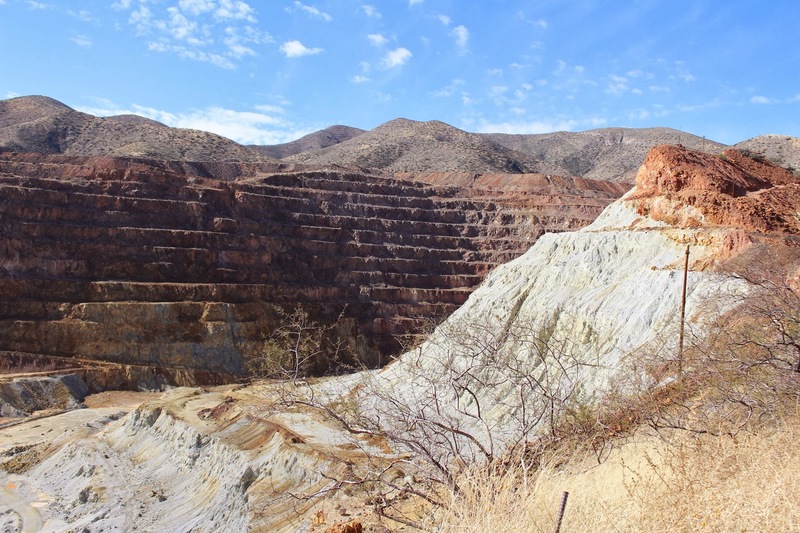 and during the 57 years the lavender pit mine was open, it produced over 600,000 tons of copper ore, with gold, silver, and turquoise byproducts. 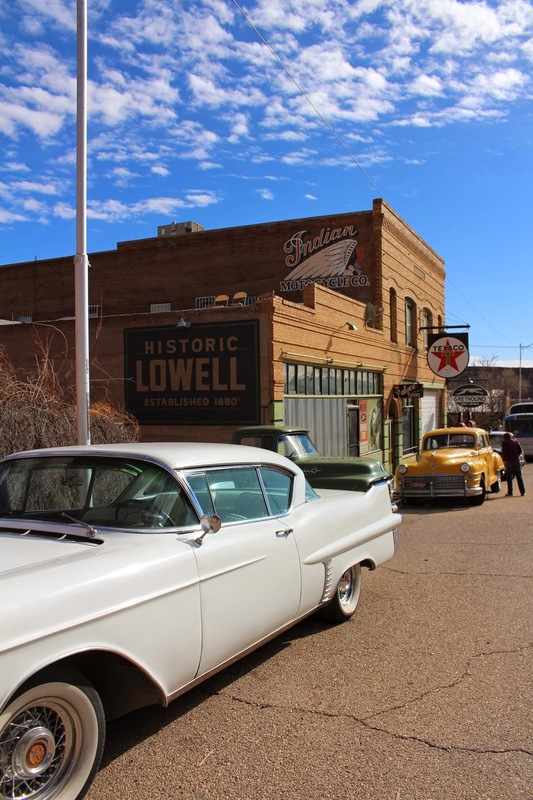 after we investigated the mine, we continued on to breakfast and discovered that someone had restored the street to look like lowell, arizona during the mine's heyday. 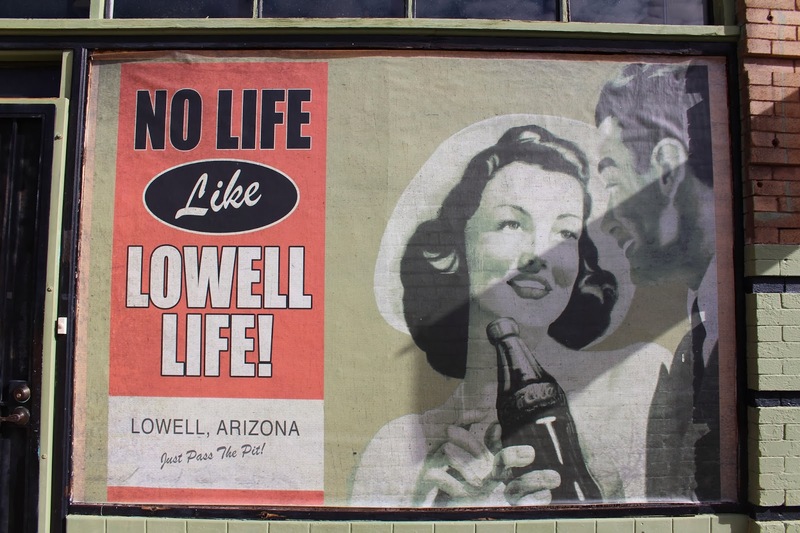 (when the mine was founded, there were two towns, lowell to the south and bisbee to the north, but as both mines closed the towns became one: bisbee). 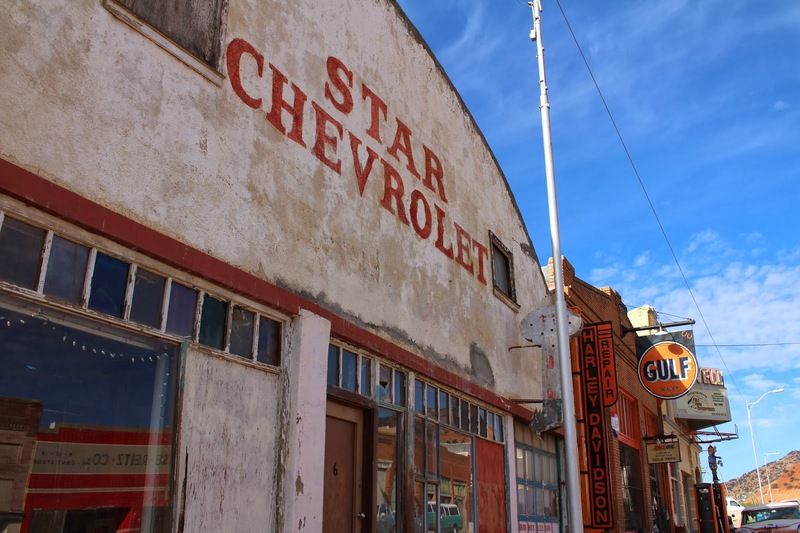 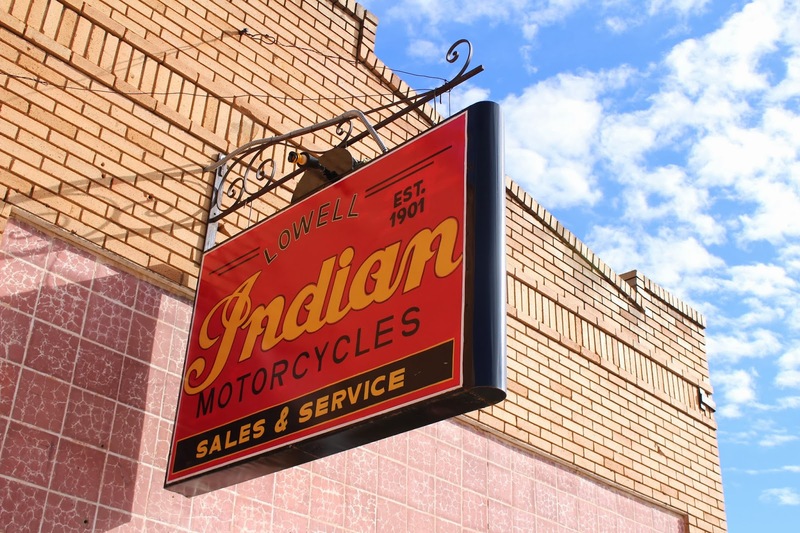 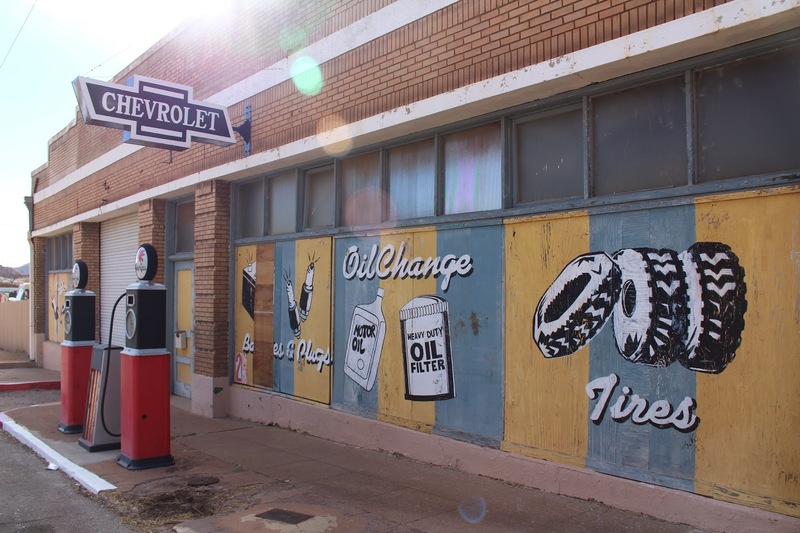 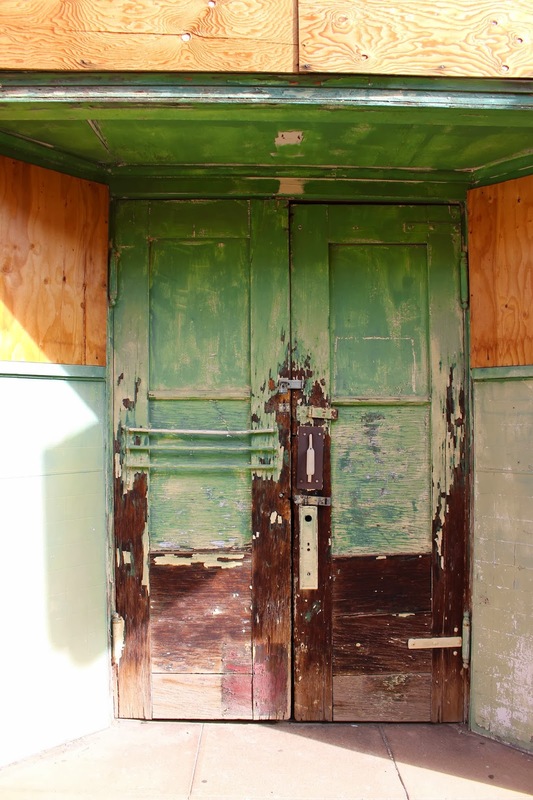 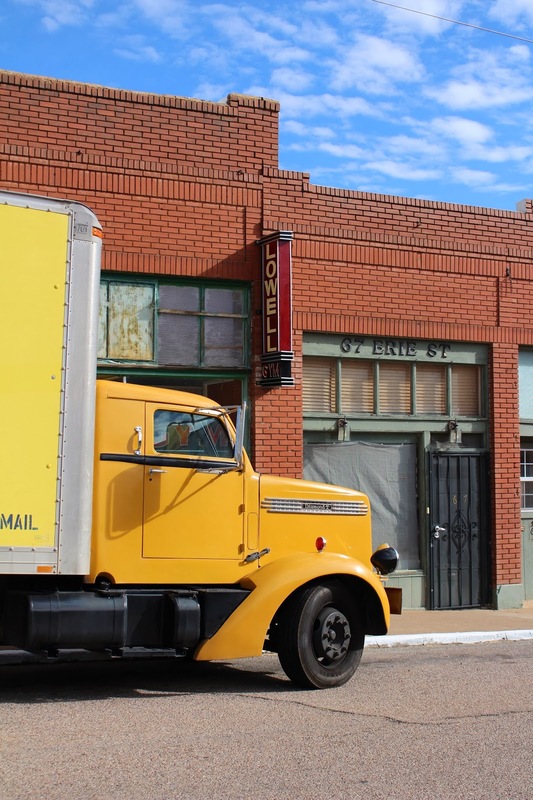 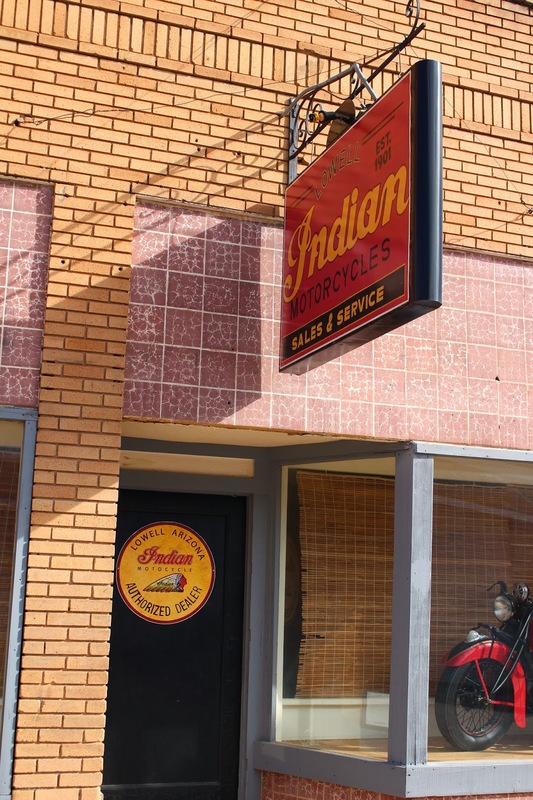 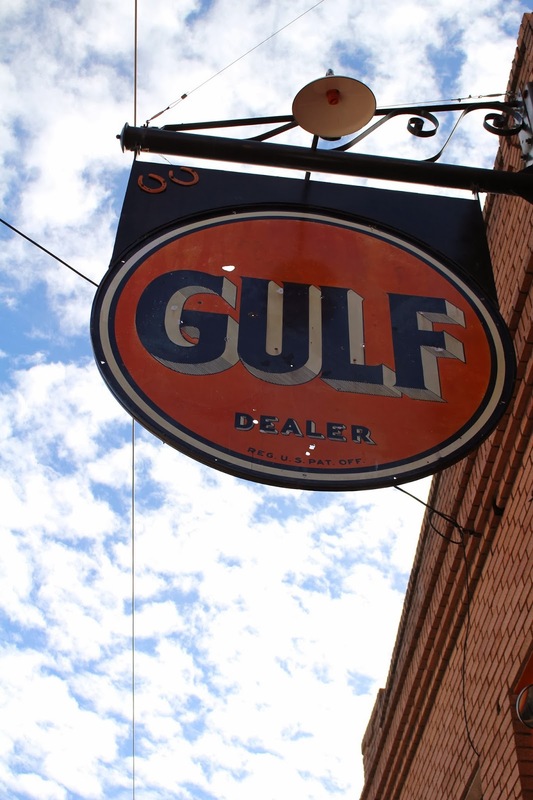 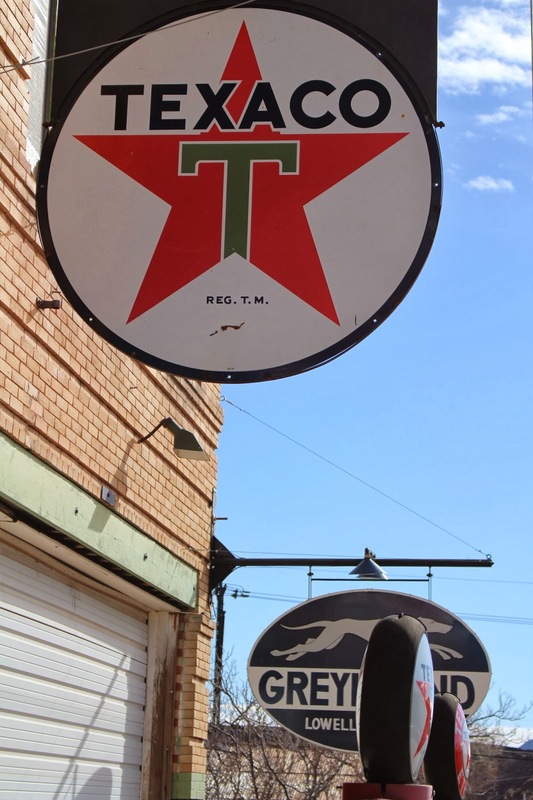 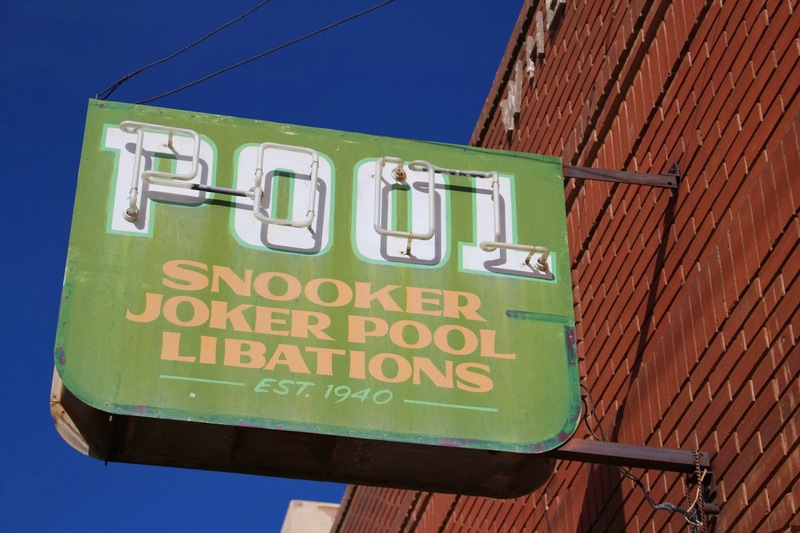 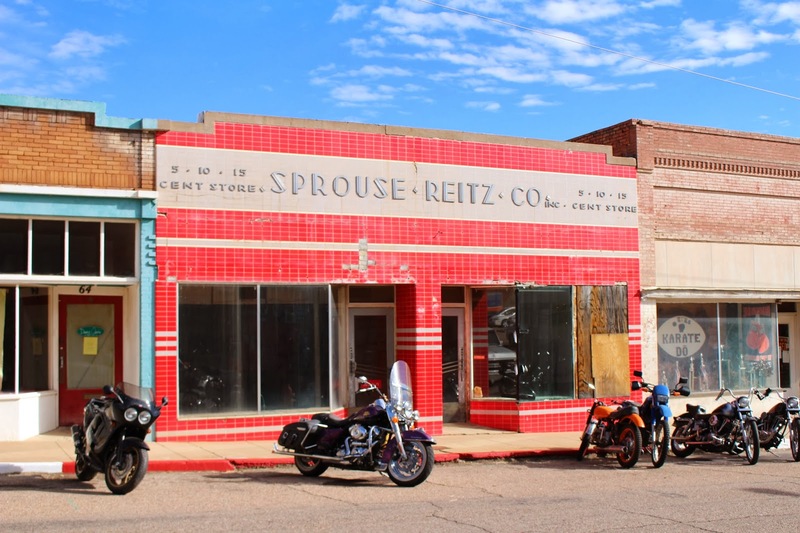 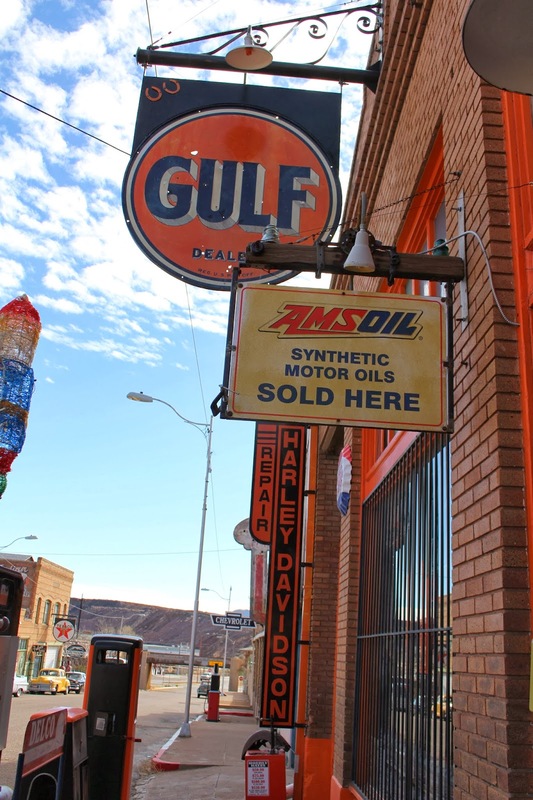 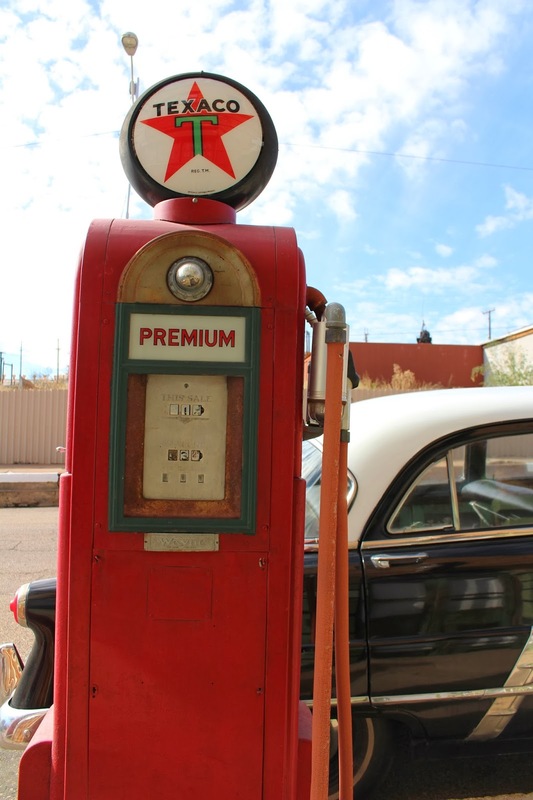 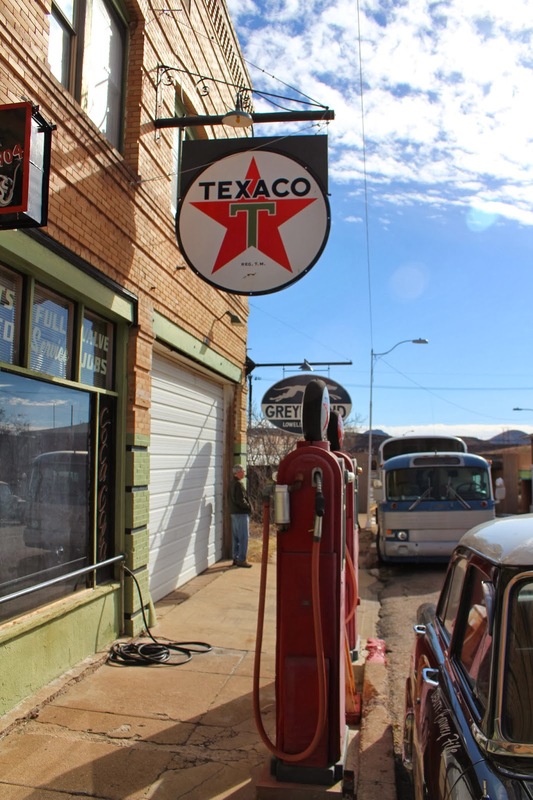 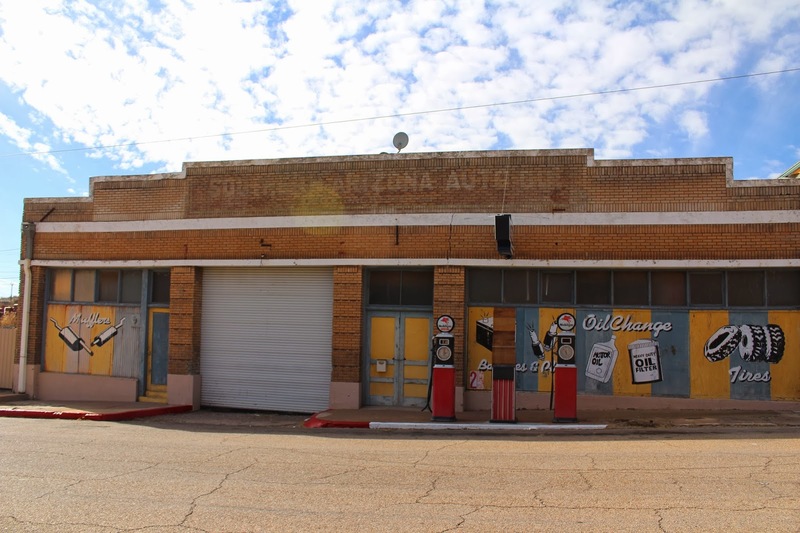 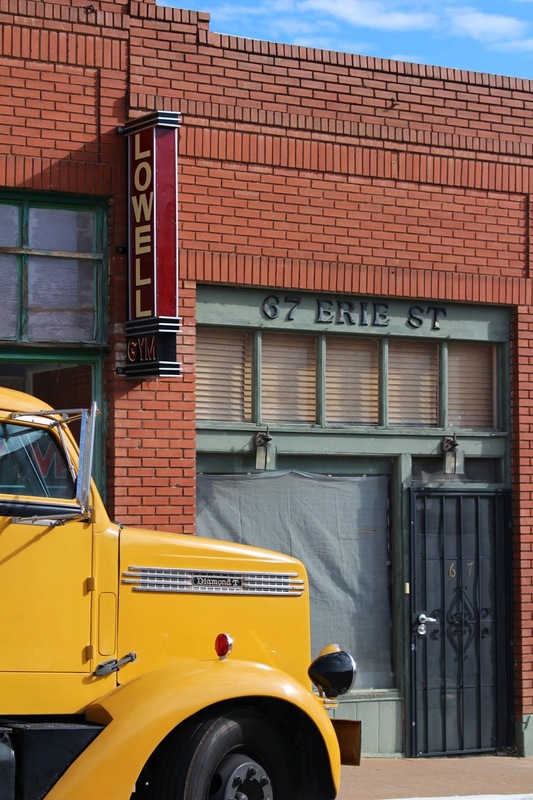 the street is filled with beautifully restored cars and fantastic signs and advertisements from the 1940s, but besides the bisbee breakfast club and a small convenience store, it looks like a ghost town and a little peek into arizona's past. 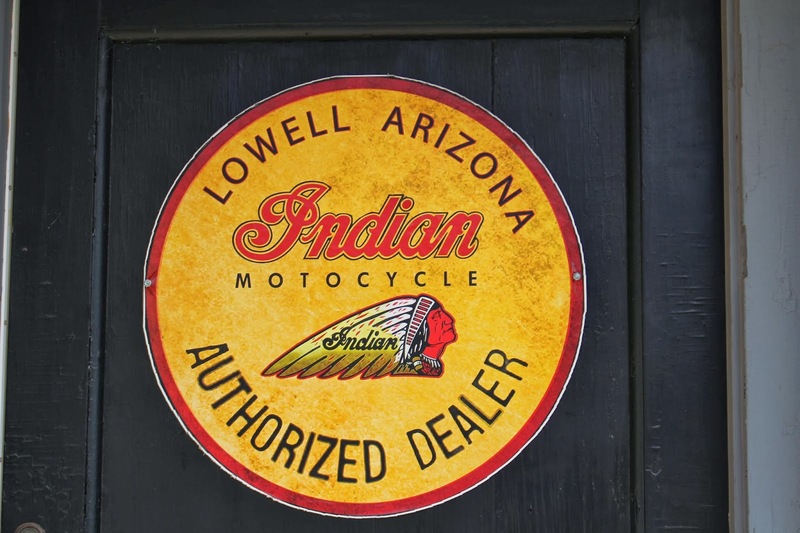 the best sugar cookies in the world!